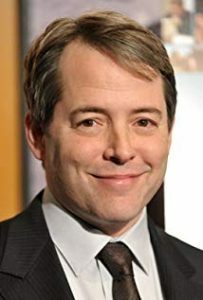 Multiple Tony Award-winning Broadway star, Matthew Broderick is to make his West End debut in The Starry Messenger by Kenneth Lonergan, the Academy Award-winning writer of Manchester-By-The-Sea. This bittersweet, comic drama is an unblinking exploration of love, hope and understanding our place in the universe. Directed by Sam Yates (Glengarry Glen Ross), The Starry Messenger also stars Elizabeth McGovern (Downton Abbey). Mark Williams is lost. An astronomer at New York City’s Planetarium, he feels a closer connection to the infinite, starry sky than to his job or even to his wife, Anne. Mark doesn’t believe in fate or divine intervention, but the universe has other ideas. After a chance meeting with Angela, a young single mother, the stars appear to have aligned. But when a catastrophic event rips through their lives, Mark is forced to re-evaluate his life, his faith and his place in the universe itself. Other theater credits include the smash Broadway hit, It’s Only a Play, opposite his frequent co-star Nathan Lane; the award-winning Broadway run of Nice Work If You Can Get It; and the Broadway production of Neil Simon’s The Odd Couple. In 2005, he starred in the feature film version of The Producers, reprising his Tony-nominated performance he gave during the record-breaking production on Broadway. 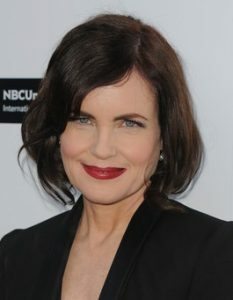 Elizabeth McGovern is most well known for her role as Lady Cora in multiple award winning television show Downton Abbey and can currently be seen in Bjorn Runge’s The Wife, in which she stars opposite Glenn Close and Jonathan Pryce. Her stage credits include The Misanthrope at the Young Vic, Three Days Of Rain at the Donmar and David Mamet’s The Shawl at the Arcola Theatre. The Starry Messenger will run at Wyndham’s Theatre from May 16 – August 10.